A real NES with Super Mario Bros. 3! 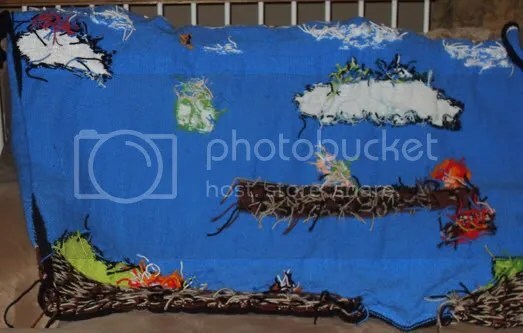 I found it at Goodwill for $12 while my brother, Zack (the one who the blanket’s for) was visiting. I will be done by this weekend. I will make myself. I officially have 9 rows left. 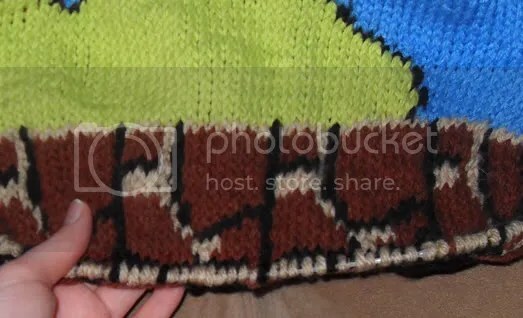 Since I am only 14 rows from finishing the blanket I am making, I figured I can reveal what I’ll be working on next. 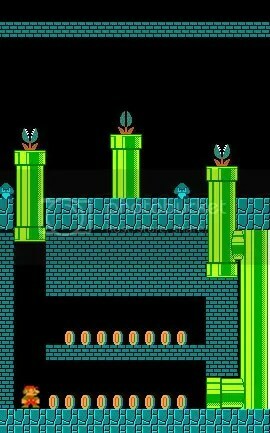 It is the secret area scene in level 2! This is a real scene from the game. 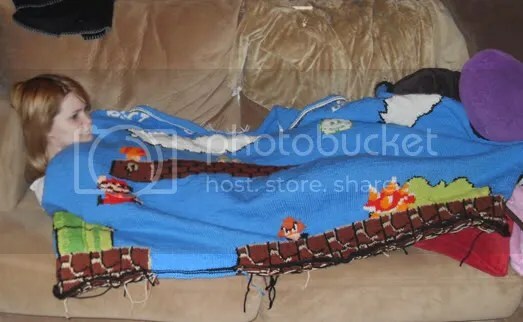 Some of you may have seen this awesome blanket by Gege Crochet. 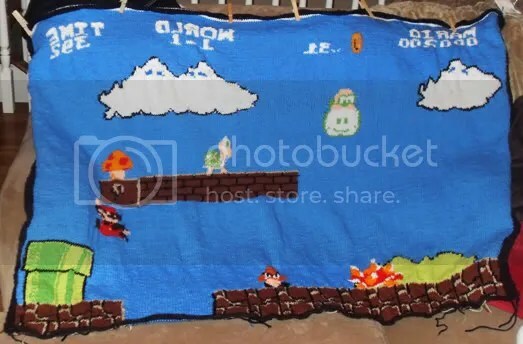 It is actually what inspired me to knit my blanket, for the most part. If you haven’t seen it, you need to. 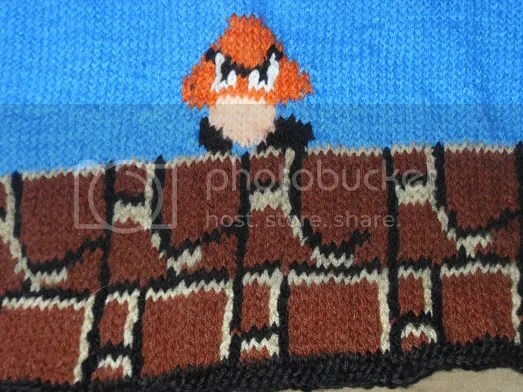 I finally have the yarn I need for the goomba. “Carrot” by Red Heart Super Saver. I also managed to draw the chart of the goomba on graph paper, after about 6 or 7 attempts.